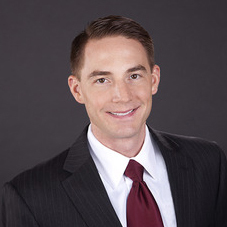 Originally from Pittsburgh Pennsylvania, Mr. Larkin relocated to Las Vegas in 2006 and entered the CRE profession while obtaining an MBA from Regis University. He holds an Economics BA from Washington & Jefferson College, the CREC designation from the Lied Institute for Real Estate Studies at UNLV, and is an SIOR candidate member, and a CCIM. Mr. Larkin sits on the So. NV CCIM board of directors and is also actively involved in NAIOP, SIOR and other business and civic organizations. Eric enjoys time with his wife Alaina, daughter Layla, and their miniature boxer, travel, music, the game of basketball, and the Pittsburgh Steelers. – Anthony Yound, Western Fulfillment Manager • VM Innovations, Inc.